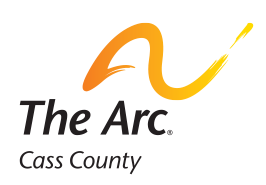 Volunteers play a vital role at The Arc Attic Treasures. They help us sort donated items into categories, then inspect each item for quality. After items are sorted, they are priced and displayed in the store. You do not need any prior retail experience to volunteer in our stores. We will be glad to train you in sorting, pricing and setting up displays. Clothes Hanger/Tagger - Hangs and tags sorted clothes on racks; after they are priced, put out on the floor on the correct racks. Merchandise Cleaner/Tagger - Cleans and tags miscellaneous items for pricing. Merchandise Organizer - Puts miscellaneous items onto proper shelves; straighten up and clean shelves when needed. Book Sorter - Sorts sellable books into correct boxes; keeps book shelves on the floor stocked. Card Sorter - Sorts through cards; organizes sellable ones into categories; keeps card rack on floor stocked. Display Decorator - Keeps displays in the store looking good including changing displays for seasons. Electronics Tester - Checks electrical items to make sure they are in working order; cleans and tags them for pricing. Computer Refurbisher - Clean old programs off computers and installs new Microsoft program. If you are interested in volunteering, stop in or call Kati Nelson at (701) 293-8191.